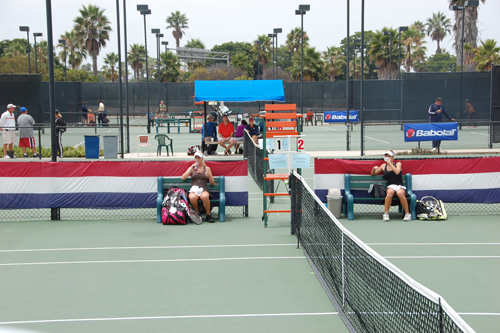 The surprises were few and far between in San Diego today, as the USTA Girls' 16 & 18 Nationals matches moved smoothly into the next round under partly sunny skies without a drop of humidity in sight. The number of matches that were completed today without any problems is just staggering. I'm rarely at a tournament without weather delays. Referee Darren Potkey is great scheduler, but we also had a draw full of quick matches so everything was completed on time. Still, by the time I got back to the Hilton San Diego Mission Valley, I felt like I had played a day of tennis from all the activity. 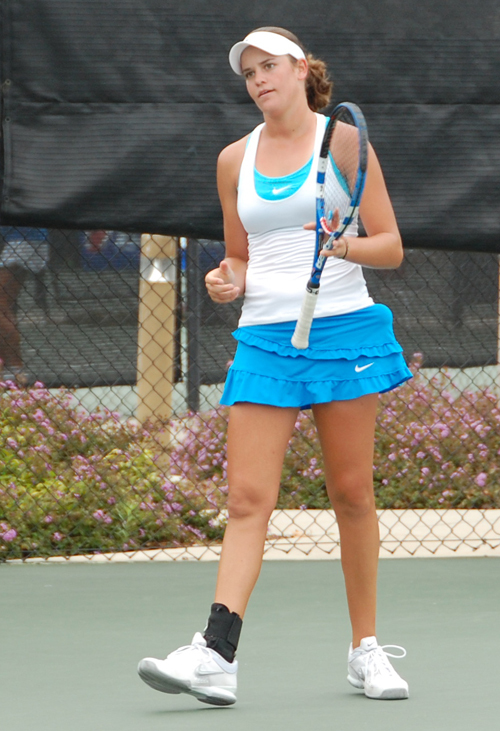 The only big upset in the Girls' 18s was in the doubles and came at the very end of the day. 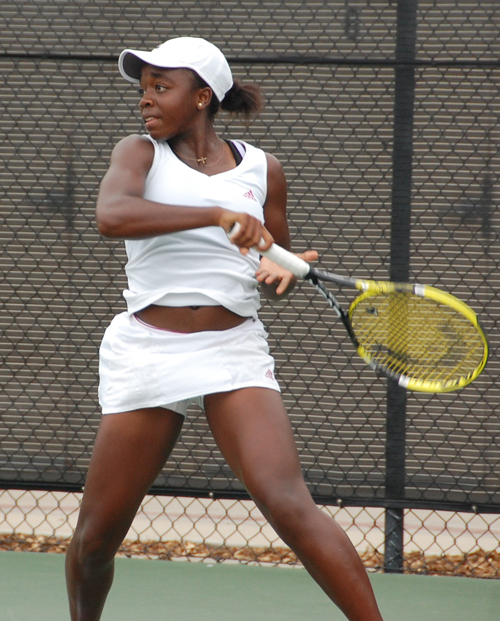 Top seeded Gabrielle Andrews (above) and Taylor Townsend lost 7-6(5),5-7,1-0(10/6) -- and yes, the match was that close -- to Jennifer Brady and Kendal Woodard. 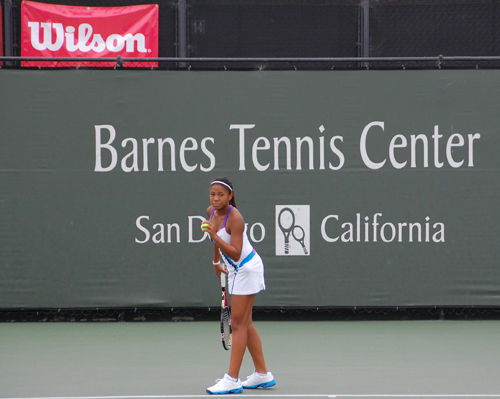 It was a different story for Gabrielle (7) and Taylor (9) in singles, as they both advanced easily. 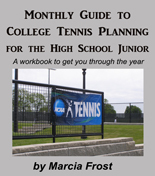 In fact, most of the other top players in the 18s did the same. 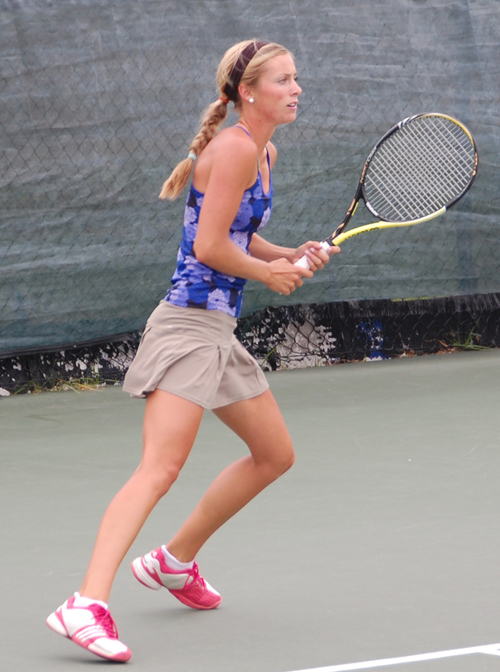 The only seeds dropping in the Girls' 18s today were two alpha seeded players: Hayley Carter took out Denise Starr, 6-4,6-3; and Frances Altick lost to Amanda Muliawan, 6-2,5-7,6-1. 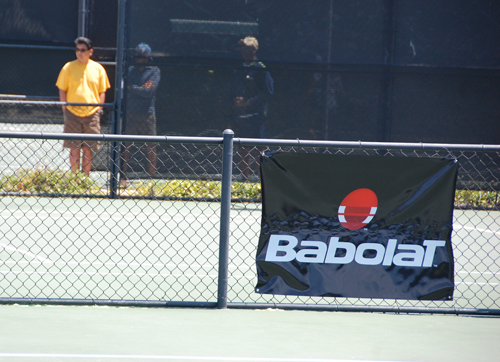 The Babolat Player of the Day at Socalmazoo (the term coined by the tournament directors for this event) is actually from Kalamazoo. 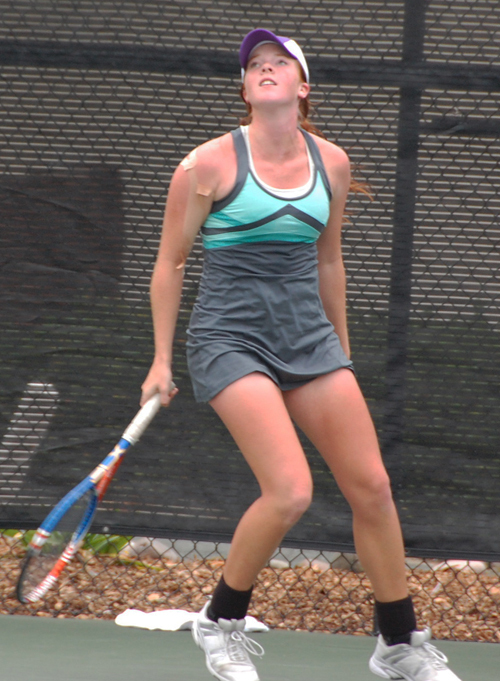 Opponents and spectators have gone out of their way to tell the tournament desk that Meika Ashby is polite and friendly to all of her peers, regardless of whether or not they are on court. 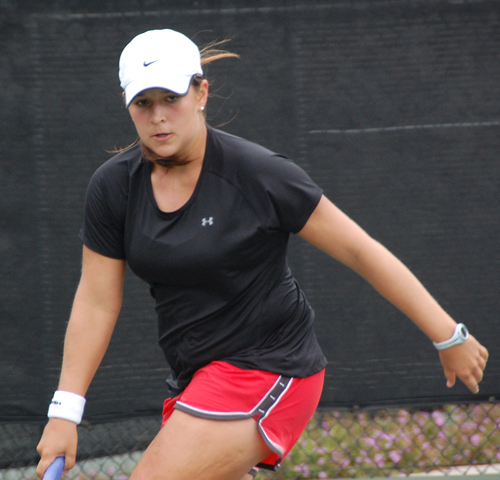 Ironically, Meika today beat yesterday's Player of the Day, Sarah Hu, in her consolation match (she lost in the main draw to Jwany Sherif in the second round). I took a break in the middle of the day to head to one of my favorite places in San Diego, Old Town. I'm always amazed how much there is to do in this city and constantly remind the girls to take advantage. 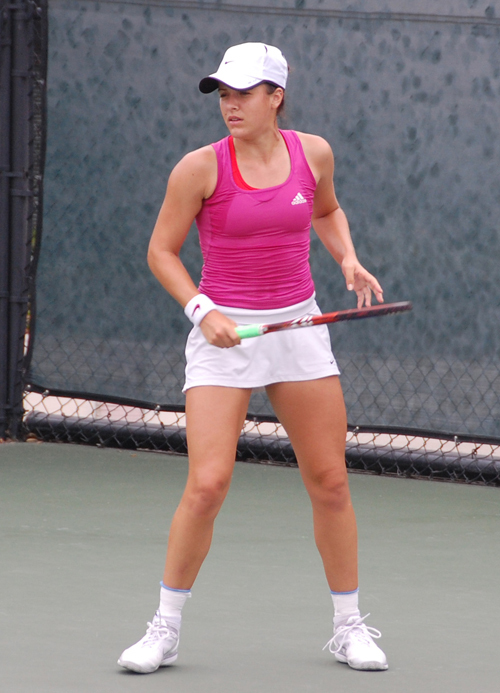 On Tuesday, I will be at the Barnes Tennis Center all day (and evening), where all of the main draw matches have moved. The Girls' 16s starting in the morning and the 18s in the afternoon. 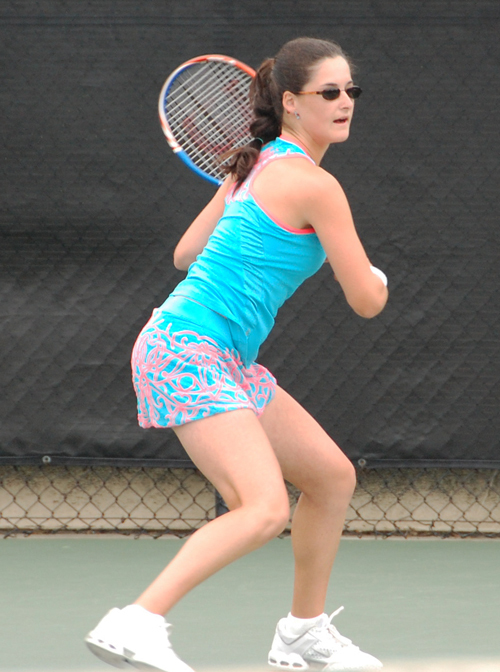 Things will be getting a lot more interesting with the Girls' 16s in the round of 16 and the seeded players facing each other for the first time. The 18s is full of some tough unseeded players so I'm guessing there won't be a lot of quick matches for day four.